Managing Giveaways is considered as the biggest challenges for a Blogger it requires consistency and dominance, these days almost everyone is using giveaways as their new source of promotion and factually this concept is bang on target. Recently, a friend of mine has managed a Giveaway on his blog’s anniversary and astonishingly he received thousands of entries but the question is that, how we can manage a Giveaway on our Blog? 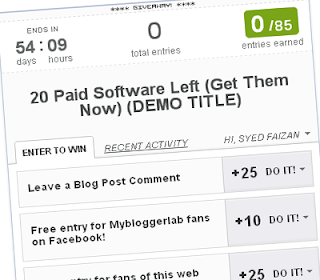 Rafflecopter.com is a free to use website, which allows its users to run a perfect giveaway on their blog. It is designed in such a way that you can integrate your own personal HTML coding, or if you are managing the giveaways to promote your Facebook page, twitter followers and etc then these features are incorporated in this widget and can be accessed in few clicks. The Steps are really straightforward and would take a few minutes to start off with your first giveaway on your blog. Step#1: Go to rafflecopter.com and register your free account don’t forget to provide correct details because you need to verify your Email Address. 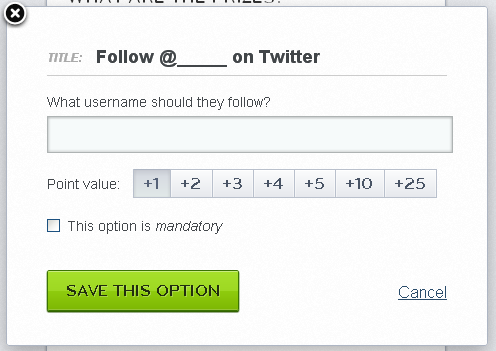 Step#2: Now you will receive an email from rafflecopter.com, just verify your Email Address and login to your Account. 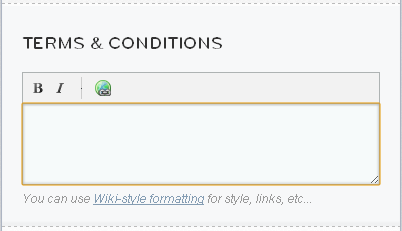 Step#3: Now after logging in to your account you would witness a Button which says “+NEW GIVEAWAY”, just select click and proceed to the next step. Step#4: Now this is the step, we will design our widget which will manage our Giveaways. NICKNAME THIS GIVEAWAY: This is a text box here you need to write the nickname of your giveaway which will help you in distinguishing different projects. WHAT ARE THE PRIZES? Here you need to insert a few details about the prize i.e. if you are awarding Software then you must insert few its features and a little review might increase the interest of your readers. HOW CAN PEOPLE ENTER? Now this is the most joyful part of the whole process, here you can select from different options i.e. 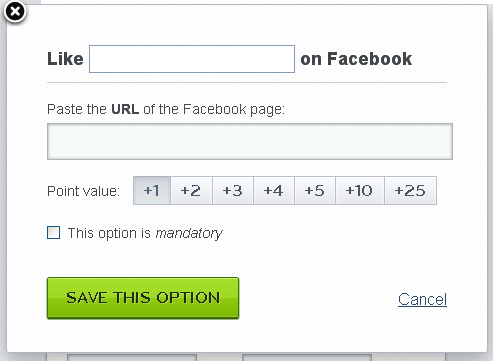 if you want others to like your page in-order to enter the competition then you can manage everything with ease. 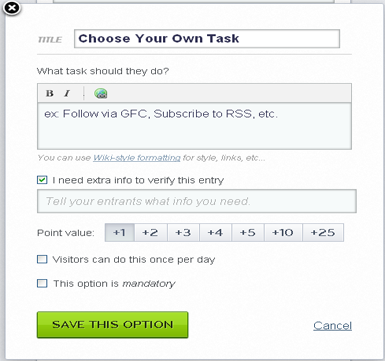 You can even choose multiple tasks like, commenting, following and can even add your own Tasks. Facebook Likes: You can insert your Facebook Page URL and could ask your readers to like your page if they want to get a chance to win a Giveaway. Twitter Follow: You can ask your readers to follow you on twitter, if they wish to win a giveaway. 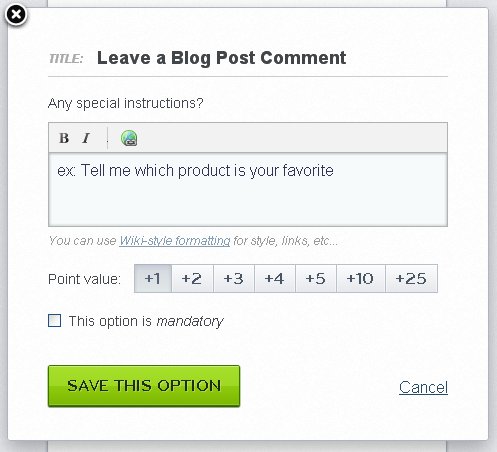 Leave a Comment on Blog: You can also tell your users to comment on your blog in-order to get quality for giveaway. Custom HTML: If you are not happy with the built-in features then you can easily insert HTML to personalize your giveaway according to your needs. WHEN DOES IT START/END? This thing is extremely crucial to remember to select the timing wisely, although you can change it but to maintain professionalism you must select the accurate time period in between your giveaways. Step#5: Now after going customizing, just Press GET THE WIDGET and that’s it. Step#6: Now copy the HTML Code and paste it anywhere you like i.e. in your Blogger Post and etc. So that’s it guys, hope you have enjoyed the feast. If you have any suggestions feel free to shoot your emails, we would love to hear you. Sorry for not updating the blog from past 2 days was extremely busy with studies, but now you will get some really exciting tutorials and widgets to stay tuned, peace, blessings and happy learning. I was waiting for something like this. Thanks sir you are really great. Nice post Syed. Great efforts.